Most impressive is the speed – not quite real-time, but the translation is spoken almost as soon as you’re done talking. 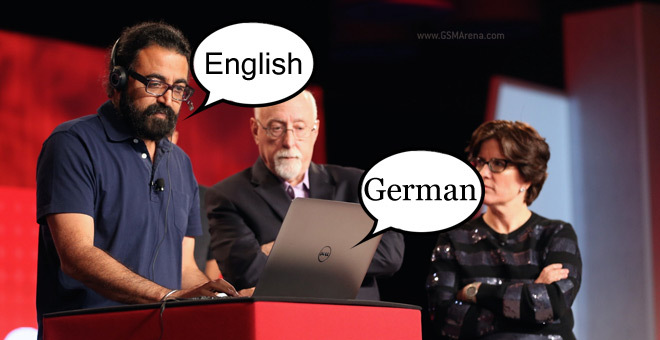 Here’s a video demo of Skype Translator, it starts around the 2 minute mark after a short introduction by Microsoft’s CEO Satya Nadella. The system uses a neural network-based speech recognition, which is then translated by Microsoft Translate (which powers Bing Translate) and the result is converted back to speech. You can read more about the system at Microsoft Research. Skype Translator will launch by the end of the year for Windows 8 first as a limited beta. By the way, Google has been working on a similar service with Google Translate since as early as 2011.